This New Day is an excellent companion to Out of Nothing, with only a slight drop-off in quality. With all this emphasis on protracted anthems, it's a great advantage that Danny, once known for his drunk-in-a-bar vocal technique, has apparently had lessons, and is equal to the demands of these surging melodies. It could go either way, but I'd bet on Embrace lasting the course. 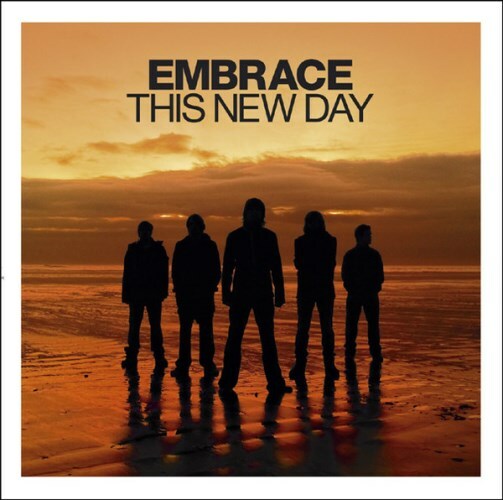 Embrace had the chance to capitalise on 2004's successes ... The reason This New Day was unable to do those things is not just because of a lack of originality, but because it's sub-par, boring and largely irrelevant. It's catastrophic. It's a flesh eating endemic of a record, a two core nuclear meltdown of an album, a Hindenburg zeppelin of an LP, and coming from a band who always promise so little, that's verging on miraculous. Oh, and the sleeve is vile. Purchasing This New Day from Amazon helps support Album of the Year. Or consider a donation?